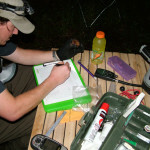 Copperhead Consulting was hired to conduct a mist net and radiotelemetry study of the federal endangered gray bat on Fort McClellan military installation located near Anniston, Alabama. 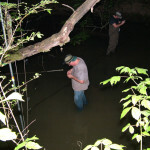 The study was designed to establish presence and characterize foraging habitat with the installation boundary. 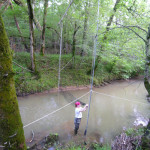 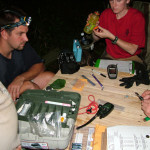 Netting efforts resulted in the capture of nine gray bats and radiotelemetry efforts successfully documented their use of the military installation during foraging.